What do I expect here? What are the Model and Pricing? send you an invoice through PayPal. Paypal is a best solution to protect buyer and seller. Can I Returned and Get Refund if The Phone is Defective? No Return accepted as the item is brand new and sealed. You can get full 12 MONTHS manufacturer warranty. tracking number for you to track the shipment status. 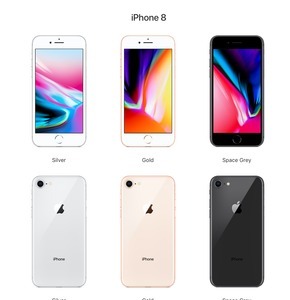 iPhone 8 and 8 Plus will be shipped from 22 September onwards. iPhone X will be shipped from 3rd November onwards. Send email to advertiser bent80 staying in Singapore.